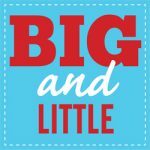 We are really enjoying the Big and Little series and hope you are too! 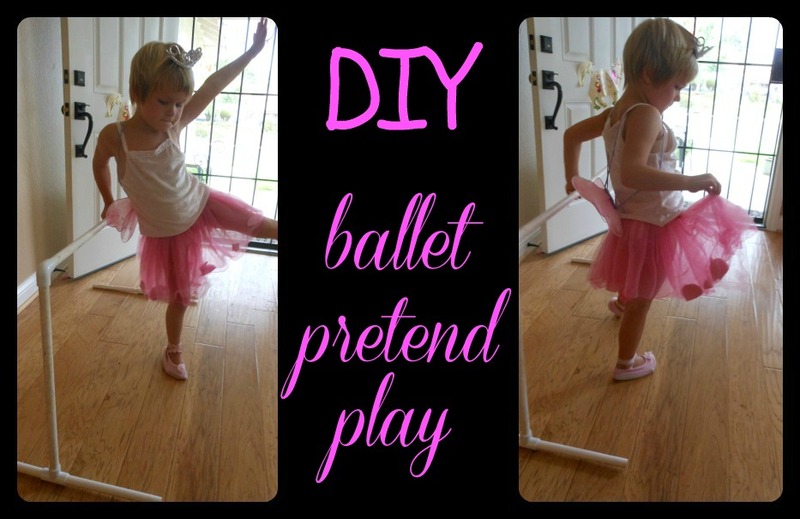 This week we are sharing our pretend play ballet. 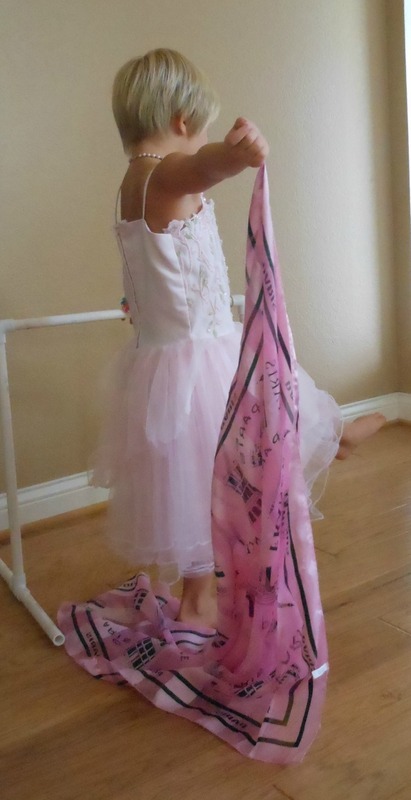 Our BIG pretend play ballet will go up today and tomorrow you can find a LITTLE ballet school over at At Home with Ali. 1. A few pretty outfits folded neatly near the stage makes wardrobe changes a breeze. 2. Accessories anyone? Every ballerina needs props. 3. 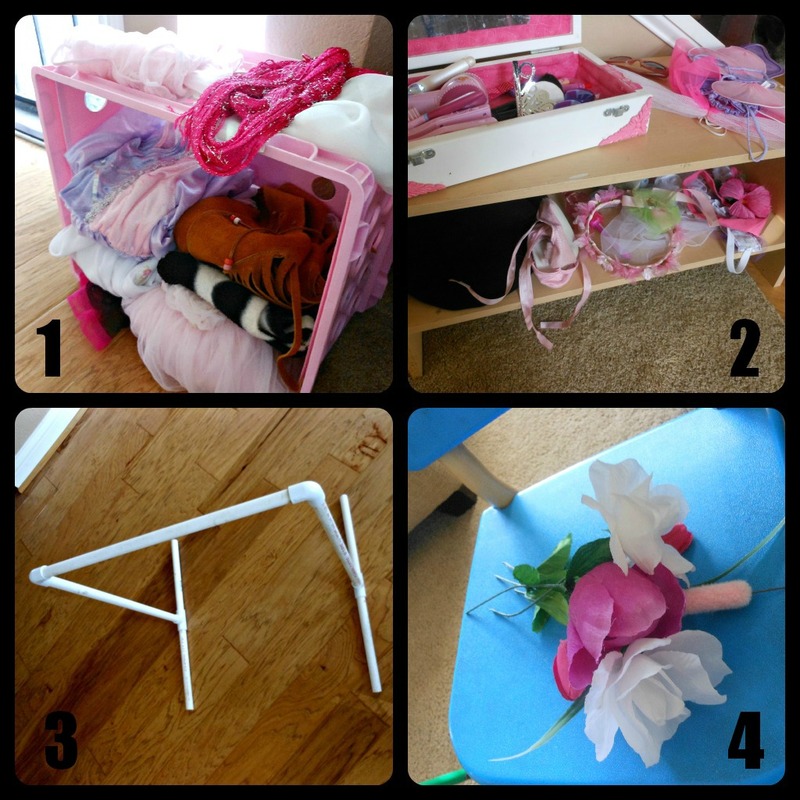 Our PVC pipe building set had the perfect pieces to make a mini ballet bar. 4. 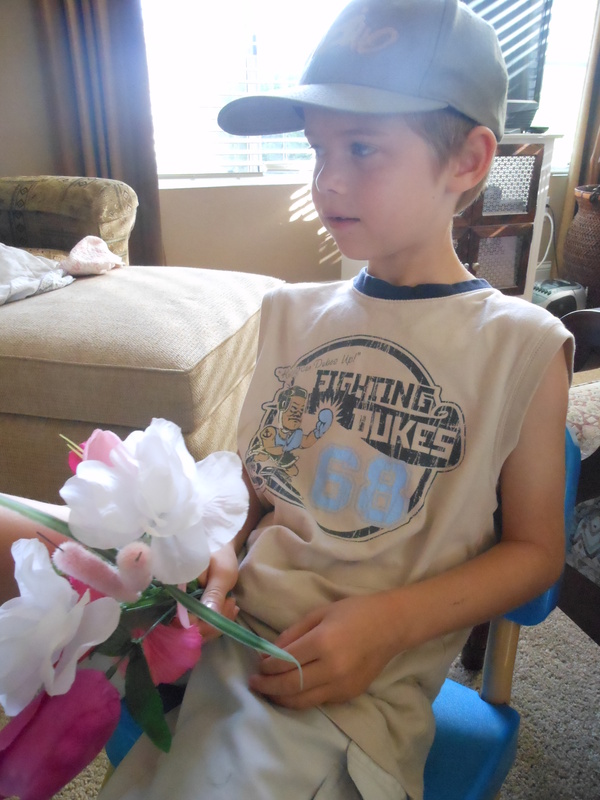 Silk flowers are perfect for showing your little ballerina you loved her pretend play ballet performance. Once the stage was set and the audience was in place there was no stopping my little ballerina. She danced her heart out. 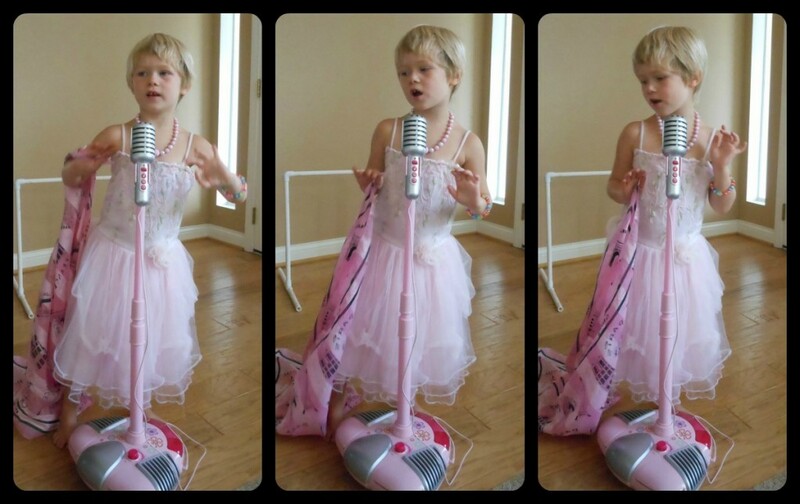 And then, because my Little M can’t resist an audience, she sang. Don’t you love that adorable Pink Microphone ?!?!? Since Big M is more of a builder than a performer he watched the pretend play ballet ready to applaud his sister and hand over a beautiful bouquet. 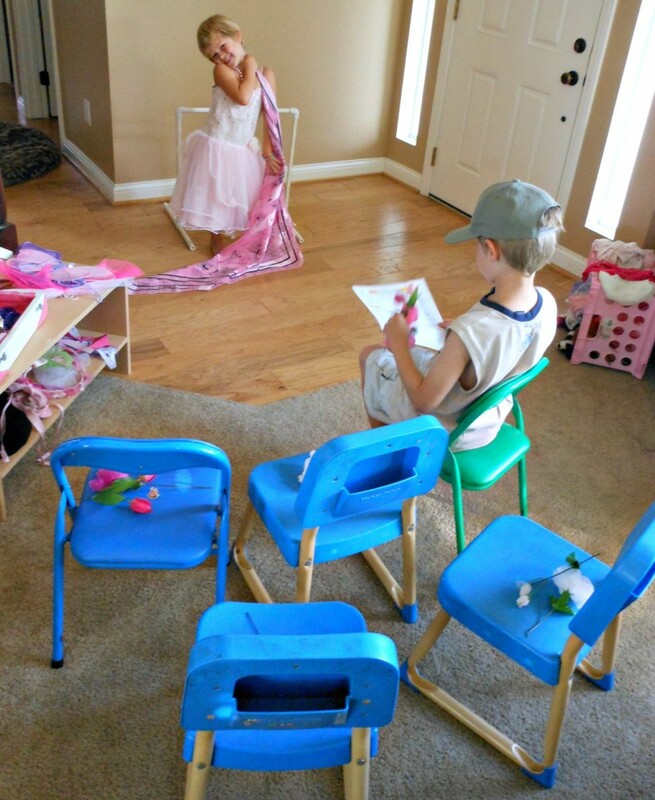 What type of pretend play do your kids love? My nearly 3 hrs old loves pretend plays too! His latest craze – mail carrier! My twin 3 year olds act out their favorite TV shows most of the time. Doc McStuffins, Jake and the Neverland Pirates, Superwhy, etc. As they went down for nap today my daughter told me she was Doc, and my son said he was Superman. For their birthday in June we had everyone give them costumes to fill their costume closet (made by my husband). They love to dress up as princesses, ballerinas, gymnasts, super heroes, cowboys, army men… The list goes on and on! I love watching their imaginations at work. I always wanted my dad to install a ballet bar. He was a plumber, why didn’t he ever think of PVC piping????? I love the idea of having costume ready for a costume change…. my girls would love that. And that ballet bar is fabulous! I love the photos of Big M in the audience – maybe we will have to do an office next time….